Something exciting happened today! 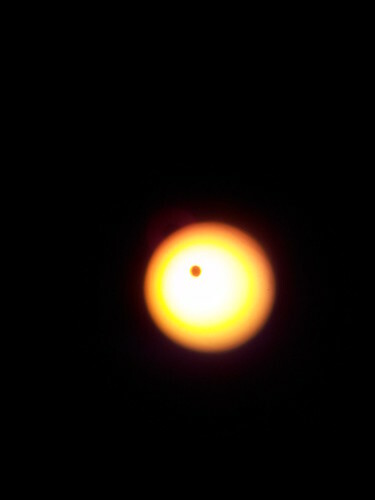 Okay, so it wasn't just Downey, but Venus eclipsed the sun tonight. It was beautiful. So many people came out to look. 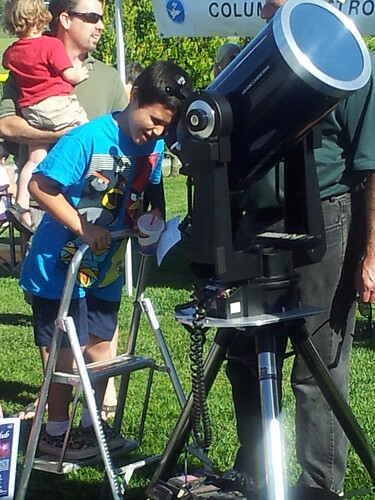 People brought their own telescopes or used some that were set up at the Columbia Memorial Space Center. Very cool! Did you get a pair of the sun-viewing glasses? I think it's wonderful that Downey has a facility that promotes this sort of cosmic event.